In SMRT, all staff have a part to play in keeping train services moving. During a train disruption, more than 700 staff from SMRT corporate departments such as finance, human resources, information technology and corporate communications are recalled to serve in customer service teams. Given one hour to report to their designated MRT stations – before or after office hours on weekdays, or on weekends – these corporate staff augment front-line staff at MRT stations to provide service information and directions to commuters, and perform crowd control duties. In addition, staff from SMRT Buses are recalled to support the Trains team by providing shuttle buses and additional engineering staff are mobilized to return train services to normal operations as quickly as possible. SMRT managers and staff, not just those on the front line, also perform customer service duties during periods when large numbers of commuters are expected to use the network to attend events. 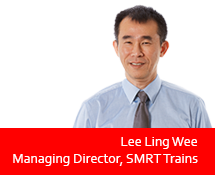 All new staff joining SMRT are also familiarised with different aspects of commuter operations before taking up other assignments in the company. This all-of-SMRT approach ensures SMRT staff at all levels are not ‘insulated’ from feedback or sentiments expressed by the public. 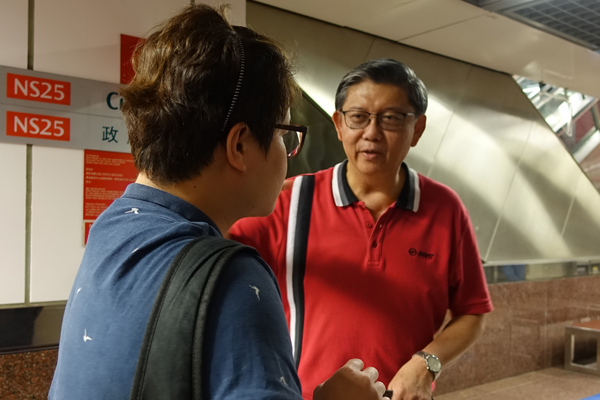 In addition, SMRT managers do walk the ground to inform and update commuters on upcoming activities on the rail renewal front. This outreach has involved the distribution of information material explaining situations involving early closure or late opening of MRT stations to provide more time for engineering staff to work on rail renewal or maintenance projects. In doing so, the face-to-face contact with commuters provides management with a first hand feel of who they serve, and of public expectations of MRT operations. Executives and managers who served with the North-South and East-West Lines (NSEWL) are deployed for customer service roles for major events that may see a surge in commuters taking NSEWL trains. As an added safeguard to crowd control, the NSEWL team also activates its Emergency Response Command Post in anticipation of any need to respond to contingencies during major events. Over at the Circle Line (CCL), executives are deployed for crowd control duties in CCL stations during major events along the network. 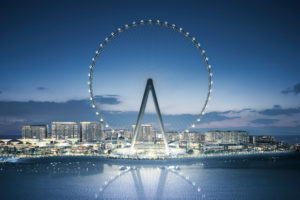 These include the National Day Parade (and rehearsals), New Year’s Eve events and the Formula One night race around Marina Bay and sporting and entertainment events at the Sports Hub. Front-line service is personally led by the Vice President and the CCL senior management. I personally led a team of executives to distribute pamphlets that explained the need for early closure of MRT stations to provide additional hours for our renewal projects. More recently, I had led about a hundred executives to explain to commuters how the re-signalling project would eventually improve their travel experience. We would like to take this opportunity to clarify that the driving of trains is a specialised skill set. Train Captains on the NSEWL undergo training for a period of six months before they are allowed to drive trains with passengers for the first time and under close supervision. The safety of our commuters is paramount and the driving of trains is therefore entrusted only to full-time Train Captains. Even for the driverless lines, station staff and rovers who can drive the trains when needed require special training. Moreover, all CCL engineers are trained to drive CCL trains.